Thank you all who attended October 20th’s Helpers of God’s Precious Infants Procession for Life. Thank you St. Thomas Aquinas for hosting the event, and Sr. Zeny Mofada,O.P. for leading this prayerful and peaceful vigil. HELP US COMMEMORATE THE 28TH ANNIVERSARY OF THE HELPERS OF GOD’S PRECIOUS INFANTS!! October 7, 2017 marked the 28th anniversary of the Helpers of God’s Precious Infants! Monsignor Reilly founded this organization on October 7th 1989. In honor of this, a retreat/get -together with Monsignor Reilly was held at the Monastery of the Precious Blood in Brooklyn, NY. Helpers chapter members from around the world and the United States and Charlotte attended. Fr. Fidelis from the Franciscans of the Renewal was there, Some of you will remember him leading our March for Life a few years ago. Frederick Marks, the author of the new book about Monsignor Reilly was also present. An amazing time for all! The Helpers of God’s Precious Infants were represented at the 2017 Eucharistic Congress, this was our fourth year attending. It was wonderful to see all the faithful Catholics (20,000.) who attended, and also many priests and religious. Thank you all who attended July 8th Procession for Life. Special thanks to St. Thomas Aquinas who hosted the event, and Fr. Winslow who lead this beautiful prayerful procession. Our next Procession for Life will be on October 21st. For details and a flier, click here. Thank you all who attended January Helpers of God’s Precious Infants Procession for Life. A special thanks to Fr. Jason Barone for leading us in prayer for the unborn. January is an important pro-life month due to the January 22nd anniversary of Roe v. Wade and the many March for Life events taking place around the country. Although we were small in number, our prayerful witness was undoubtedly used by God in the fight for life. Please join us for our next Procession for Life at St. Gabriel Catholic Church. We’ll meet for Mass in the chapel at 9am. 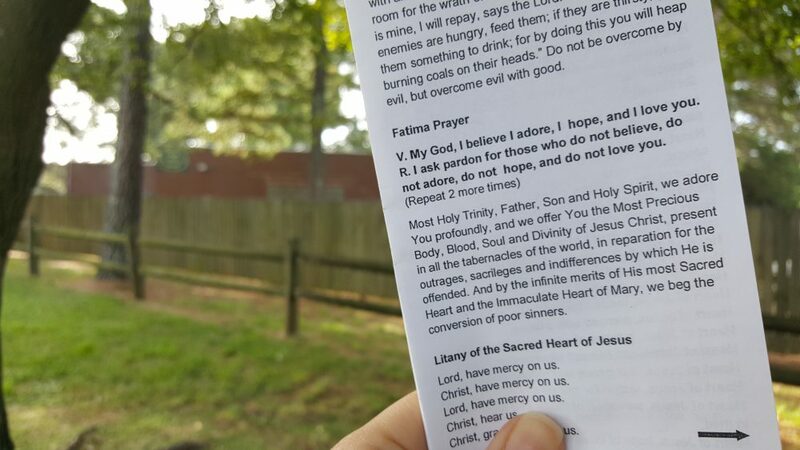 Immediately after Mass we will pray one decade of the rosary, continuing the rosary in the car as we travel to pray on the sidewalk at “A Preferred Women’s Health Center” abortion facility at 3200 Latrobe Dr. with Fr. Gabriel Carvajal-Salazar. 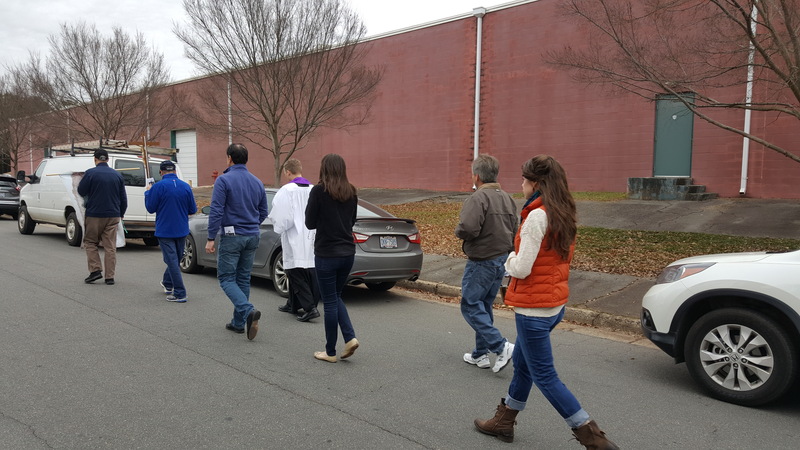 The Procession for Life will begin at approximately 10am (perhaps a few minutes early due to St. Gabriel’s close proximity to the abortion facility. Eucharistic Adoration will be happening in the Perpetual Adoration chapel for those who are not able to join us on the sidewalk. We’ll process back to the chapel after about 30-35 minutes of prayer at the facility. Please share this email to encourage others to join us! 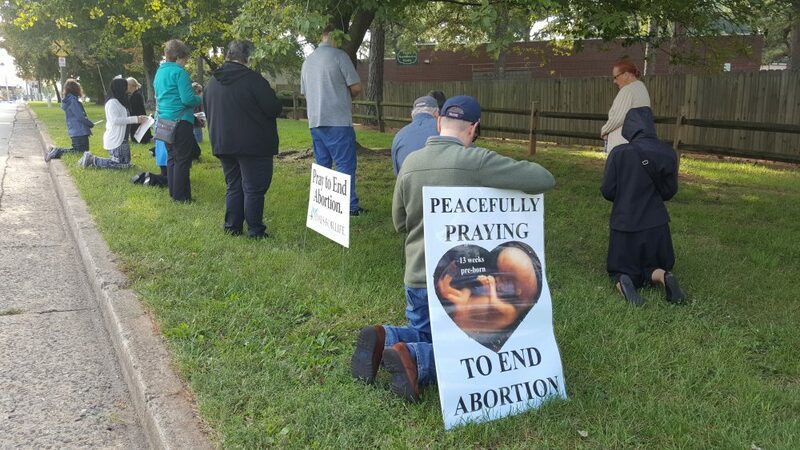 Thank you all who attended October’s Helpers of God’s Precious Infants Procession for Life! A special thanks to St. Vincent de Paul for hosting, and Fr. Casey Coleman for leading us in prayer for the unborn. It was Respect Life month, and although we were small in number, our prayerful witness was undoubtedly used by God in the fight for life. 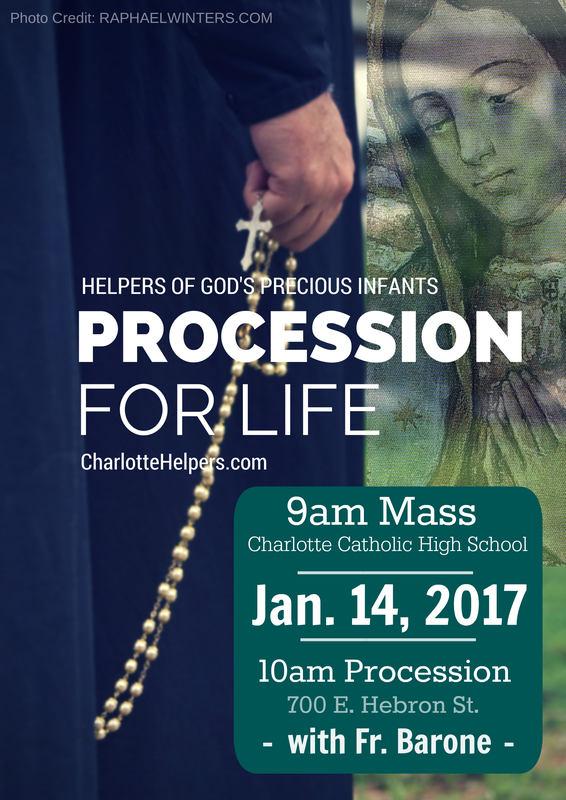 Please join us for our next Procession for Life at the Charlotte Catholic High School chapel. This event is particularly geared towards our youth and to encouraging the high school students to join us on the sidewalk! We’ll meet for Mass in the chapel at 9am. 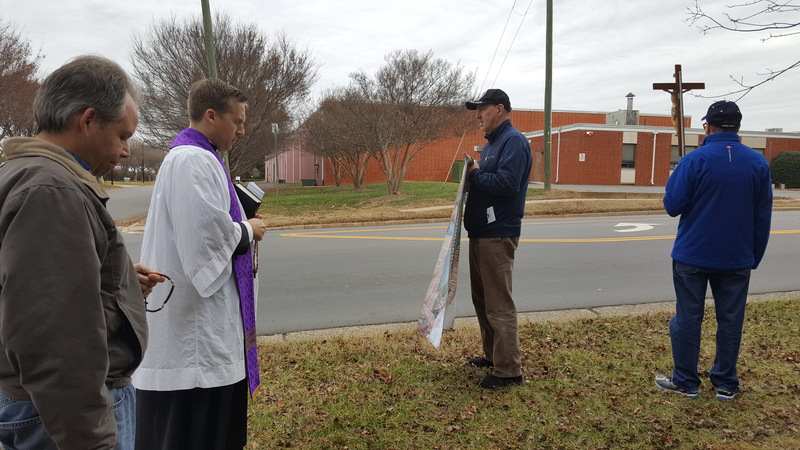 Immediately after Mass we will pray one decade of the rosary, continuing the rosary in the car as we travel to pray on the sidewalk at “Family Reproductive Health” abortion facility at 700 E. Hebron St. with Father Jason Barone. 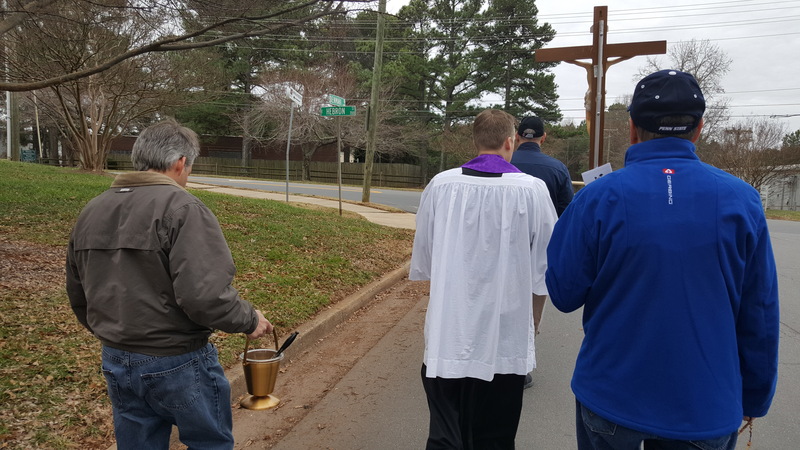 The Procession for Life will begin at approximately 10am by lining up on Denmark St.
Eucharistic Adoration will be happening in the chapel for those who are not able to join us on the sidewalk. We’ll process back to the chapel after about 30-35 minutes of prayer at the facility, concluding with Benediction. Please share this email to encourage others to join us!